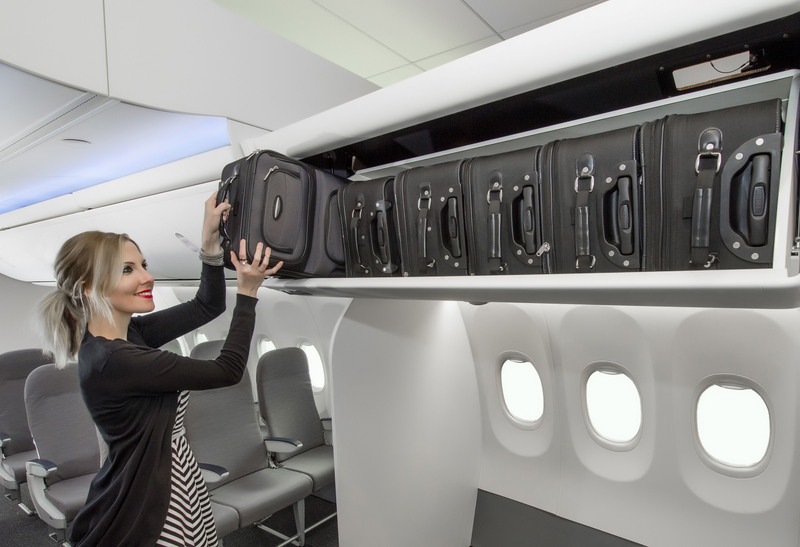 Aiming to improve onboard storage and make flying easier for customers, Alaska Airlines is the first carrier to get Boeing’s innovative Space Bins. The larger overhead bins have a similar look and feel to Alaska’s Boeing Sky Interior pivot bins yet hold more bags. All 79 of Alaska’s 737-900ER aircraft have Space Bins, which hold as many as 174 standard carry-on bags, a 48 percent increase compared to traditional overhead bins that hold up to 117 bags. Space Bins are deep enough to store nonstandard items, such as a guitar. The new bins are one way that Alaska is listening to customers to improve service. When open, the bin’s bottom edge hangs about 2 inches lower, which means people don’t have to lift their bags as high to load them. The deeper bins allow more bags to be stowed, and let customers load bags with less struggle. That should cut boarding times, improve on-time performance and require less intervention from flight attendants. Flight attendant representatives who tried the Space Bins preferred them over traditional Boeing Sky Interior bins. Although the 737 is the world’s best-selling single-aisle airplane, Boeing is committed to continuous improvements that make it even better for Alaska Airlines employees and customers. 3 comments on "To increase overhead storage 48%, Alaska Airlines is first to get new Space Bins from Boeing"